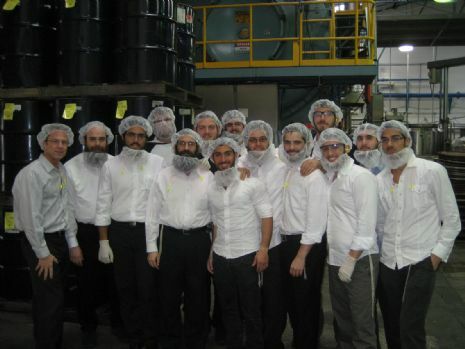 Thanks to Rabbi Sholom B. Dubov, shliach to Orlando, FL the students of the Miami Semicha Program had the opportunity to visit many kosher factories located in Central Florida. The trip took place this past Tuesday when at 4:30 AM our students boarded a van North bound. After a four hours trip the arrived at the first Kosher facilities where Rabbi Dubov greeted them. Following shachris and breakfast, Rabbi Dubov spent well over one hour explaining various aspects of practical Kashrus in today's industrialized food production. 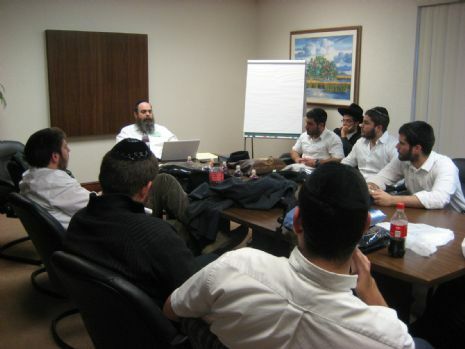 Afterwards Rabbi Dubov answered the many questions the bochurim had. The visit took the Miami Semicha Program to three factories. Those factories produce powered fruit juice, powder tea for ice tea (they supply Snapple! ), and candied fruits. After a long and fascinating day, everyone headed back towards Miami Beach fighting heavy thunderstorms. A very special Thank you to Rabbi Dubov for arranging this trip and for taking the time and interest to spend the day with us.